DECEMBER 21, 2015 — Under the guise of creating more affordable housing, the Mayor’s Office is proposing a plan that could lead to the greatest wave of displacement since the Redevelopment era of the 1950s. And other than excellent stories from People Power Media and sfbay.ca, it’s gotten very little in-depth news media attention. 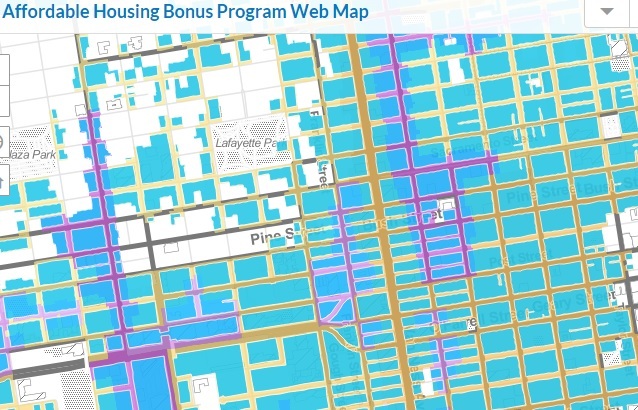 The program is called the Affordable Housing Density Bonus plan, and it has its roots in both state law and a 2013 court decision in Napa County. But in the end, this will be a local decision – and the plan is almost breathtaking in its scope. It is, critics say, a return to the failed policies of an earlier era, when tearing down homes and businesses in the name of improvement was official federal, state, and local policy. More than 30,000 units of housing – and all of the corner stores, restaurants, and community-serving small businesses located on the first floors below them – are potentially targets for demolition. The law encourages property owners to turn smaller buildings into bigger ones by adding stories – and the only practical way for that to happen is if existing buildings are torn down. The plan put tens of thousands of units of rent-controlled housing – the most important affordable housing in the city for working class and middle-class people – at risk. In a flashback to the worst era of Redevelopment, the planners say people thrown out on the streets when their homes are torn down would have the right to return later – but there’s no clean plan to give them affordable homes in the meantime, and all the evidence shows that “right of return” doesn’t work: Tenants who are displaced for years wind up leaving the area forever. The right to construct taller buildings doesn’t really create much in the way of new affordable housing, since the developers can count the replacement units that were there in the first place toward their “affordable” responsibility. The new taller buildings will be able to block sunlight in any existing back yard, as long as it isn’t a public park. 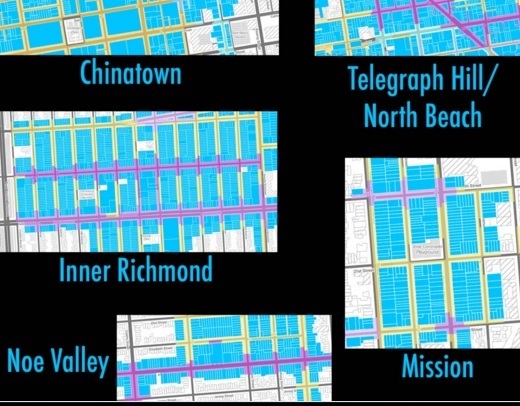 For those tens of thousands of San Franciscans who use their small yards to grow gardens, to sit outside, to have barbecues … there is no protection from construction that ends your access to sunlight. Oh, and the new rules would pretty much end public input into neighborhood planning, since most of the new projects would be exempt from the normal hearing and appeal process. There is no credible process to protect existing small neighborhood businesses from wholesale displacement, meaning the plan could transform dozens of local commercial districts. It’s a gigantic change in planning policy, driven by the idea that the city of the future has to be built by destroying the city of the past. In essence, the proposal is aimed at making San Francisco a better, and possibly more affordable, city for people who are going to move here in the future, at the expense of existing residents. “It’s a demolition and displacement machine,” longtime housing advocate Calvin Welch told me.